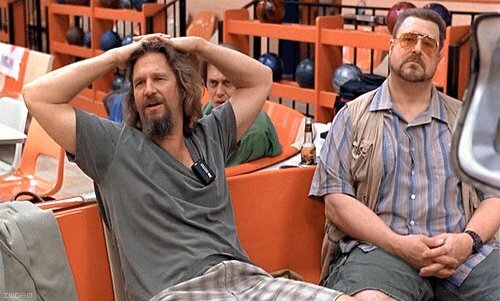 Nothing will bring out my inner Walter Sobchak like feigned involvement in a project. The key piece is (as I keep harping on) communication. My clients usually don’t care about the technologies I use, unless they hire me for a specific skill set. What they do care about is solving a complex problem for them without them having to become an expert in either the problem or the solution. I pride myself on being a good listener. I let them talk (and complain). Most enterprise software is bad. It’s true. It’s like trying to feed an army…You’re gonna get hot dogs and beans. Everybody gets fed but nobody looks forward to feeding time. But I digress (WAIT, REALLY?). I’m a big believer in point solutions. In fact, I started my company based on the idea that you could build incredibly useful tools on top of not so incredibly useful ones. Given the advent of RESTful API’s, you can do some pretty amazing stuff that the creators never would have though of. The classic examples are things like using the Google Maps and SpotCrime APIs to show heat maps of crime in certain neighborhoods. Simple but amazing. Most of the heavy lifting is already done for you. A common challenge with developers (especially us seasoned, cranky ones) is that we tend to be untrusting with most technologies that are outside our comfort zone. This is where they (we?) can sometimes make problems for ourselves by adding TOO MANY failsafes or saying stuff like “Ah, nevermind, I’ll just write my own parser”. Famous last words. The intellectual exercise takes over the project and you forgot what problem you were hired to solve. Just use the built-in parser and spend your time testing with customer data, dummy. Unless, of course it was written by a seasoned, cranky programmer (like all the good software).